Let me tell you, the internet is a dangerous place. Seriously. You can start down the google search and emerge 2 hours later, not knowing how you wasted so much time. That was me last week when I was trying to find snow boots. The hard part about finding snow boots beginning of February in Los Angeles? Or even online? All the normal sized shoes are out of stock. Because the east coast has been getting slammed with snow and why would people in Los Angeles ever need to buy snow boots? So I struggled. And apparently spent 2 hours on google this past Monday looking up different brands of snow boots as well as where the hell I could find some in my size that I would get before TAHOE THIS WEEKEND. Sorry. I’m excited. I’m excited to ski but mostly excited for a girls weekend filled with hot chocolate, marshmallows, and wine. Oh the wine. Where does my search get me? It gets me calling every potential store where these boots could be (because I wasn’t trying to spend $200+) and eventually I find a Sports Authority about 35-40 minutes away and they have one pair left IN MY SIZE. Thank god. I drove up immediately, tried them on, loved them, and took them home. And then immediately felt silly for spending all that time trying to find boots for Tahoe that I can also use next winter in NJ/NYC. I figured if I was going to buy snow boots, I should try and find a pair that I like and will actually use and that won’t (hopefully) break after 3 uses. 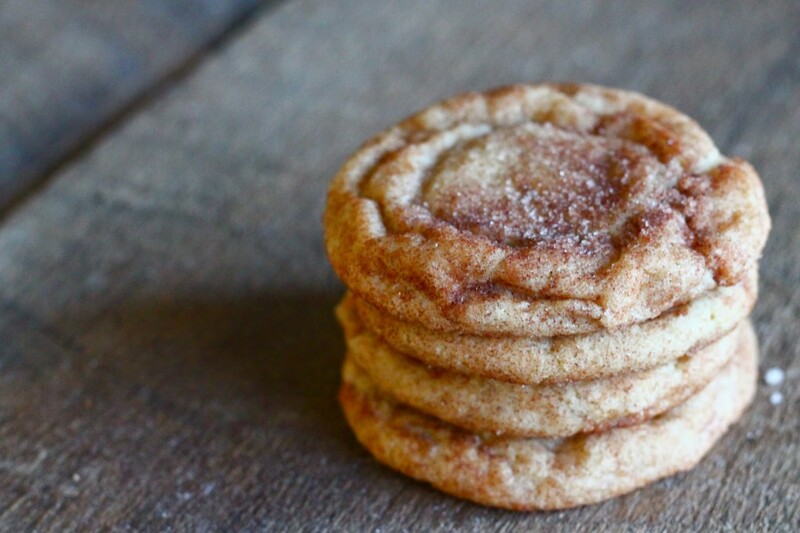 Anyway, now that I’ve warned you and gushed about my great purchase this week, let me tell you about these Snickerdoodles. 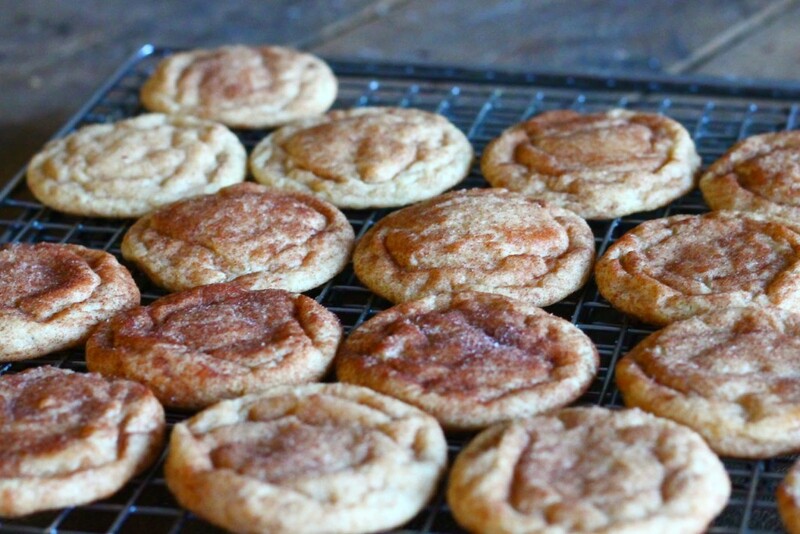 I’ve actually never made plain snickerdoodles before. 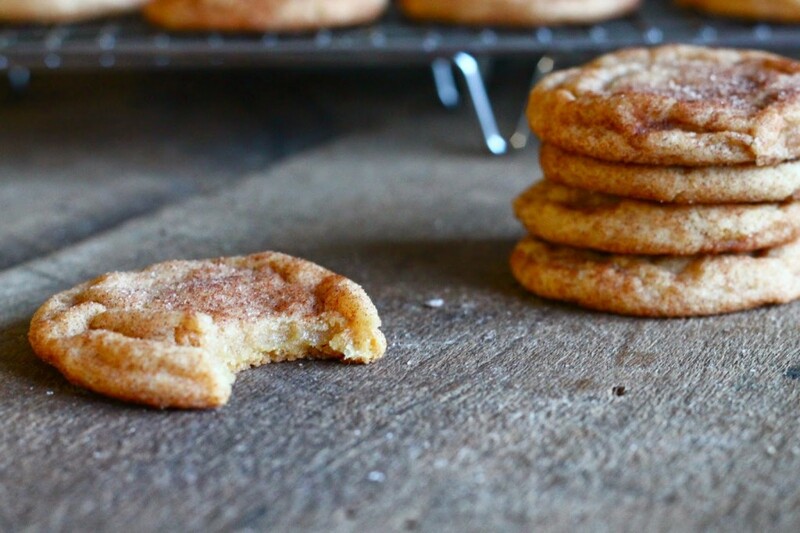 One night in college, after seeing Jessica from How Sweet Eats post snicker-chip-doodles, I made them right away. And they were great, but that was the last time I had tried. Until I had the idea of making ice cream sandwiches at bookclub with that salted caramel gelato that Trader Joe’s currently has (insert heart eye emoji). So I wanted cookie options. My brown butter chocolate chip cookies, of course, but something else too. 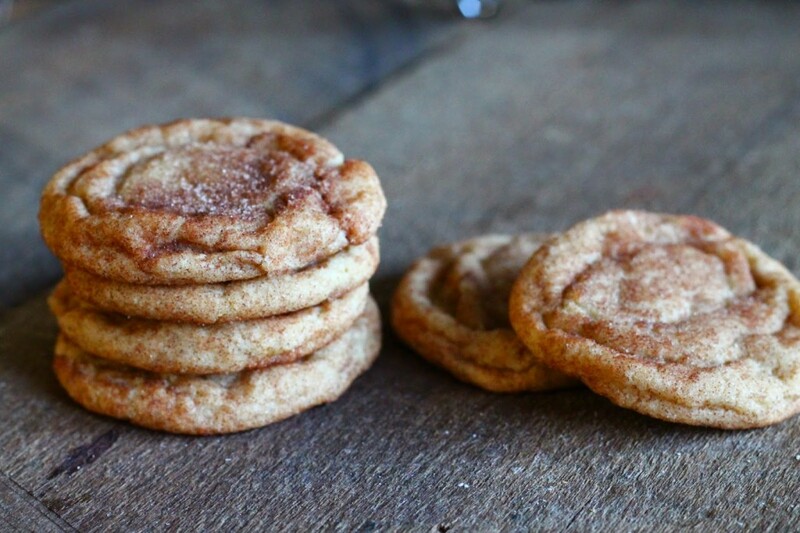 That’s where these Snickerdoodles come in. I found them via a google search and they looked delicious – Averie Cooks always has some great recipes. They’re light, fluffy, chewy, and melt in your mouth. I tweaked the recipe a little – I barely chilled the dough so that they would spread out (better for ice cream sandwiches, in my opinion). And let me tell you, they were delicious on their own, delicious paired with the salted caramel ice cream, and delicious a few days later. 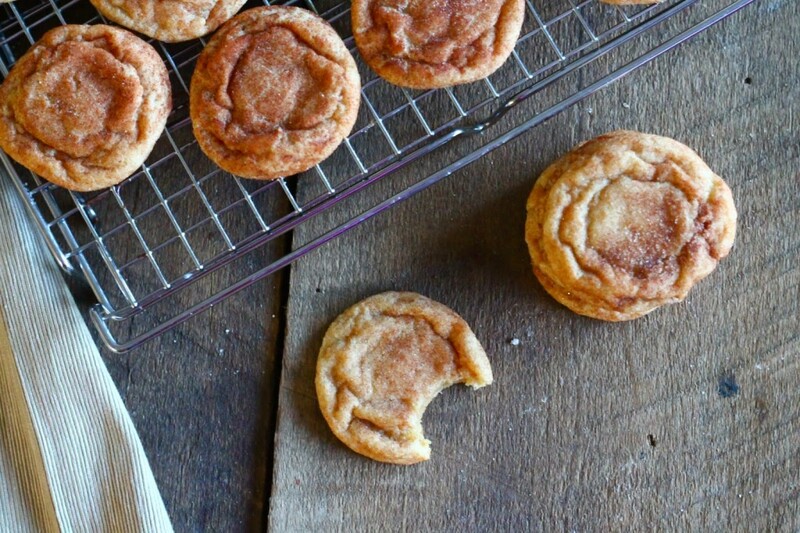 If you’re a snickerdoodle lover, you need to try these! In a large mixing bowl, beat butter and sugars together on medium speed until smooth and creamy. Scrape down sides as necessary. Add in egg and vanilla, mixing in until fluffy. Continue scraping down sides as necessary. Add the flour, baking soda, cream of tartar, and salt and mix until just combined. Scoop dough using either a medium cookie scoop or two spoons/hands. Roll into a ball and place on a plate. Refrigerate for 20-30 minutes. While dough chills, preheat oven to 350 degrees F. Line baking sheets with silicone baking mats or parchment paper and set aside. 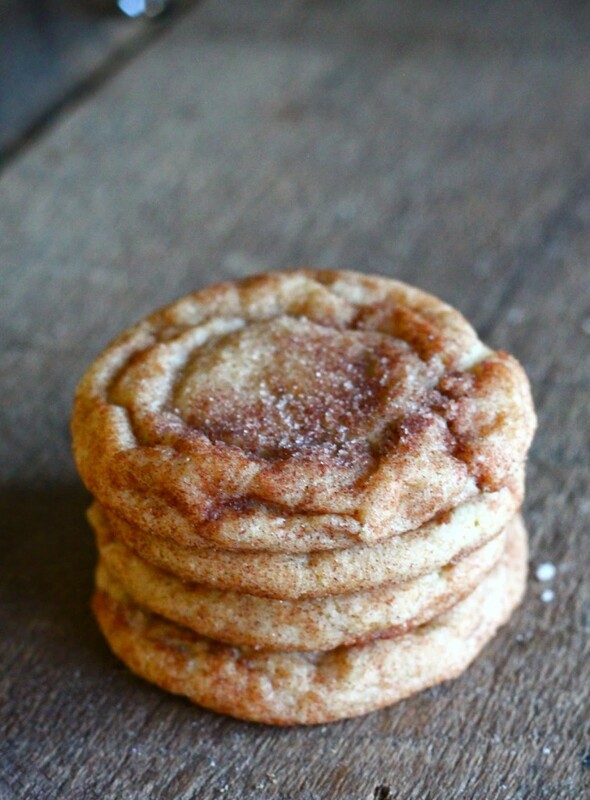 In a small bowl, stir together the sugar and cinnamon for rolling and set aside. 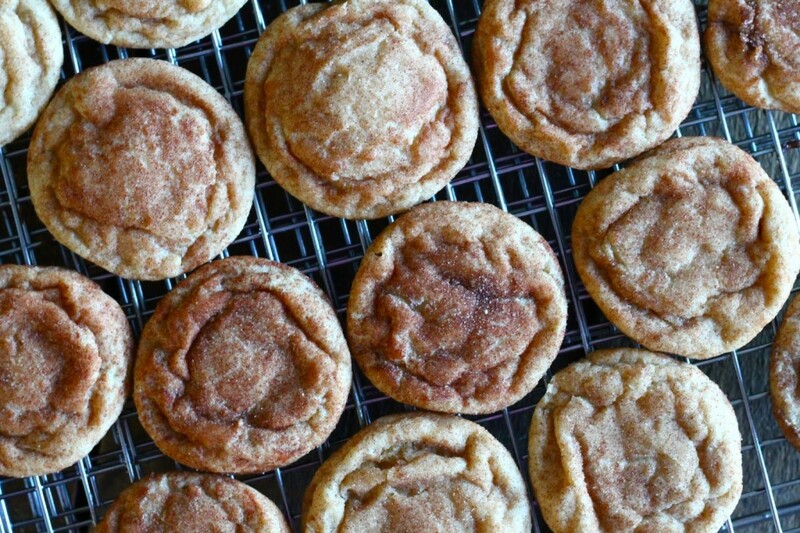 Take dough out of fridge, roll liberally in the cinnamon sugar mixture, and lightly flatten the tops. Place on baking sheets about 2 inches apart and bake for 8-10 minutes, or until the edges of the cookies are set but still look soft in the center. Let cookies cool for about 10 minutes on cookie sheets (they’ll keep cooking and settling) and then serve warm or let cool completely on wire cooling rack.